Espresso combined with vanilla-flavored syrup, milk and caramel sauce over ice. 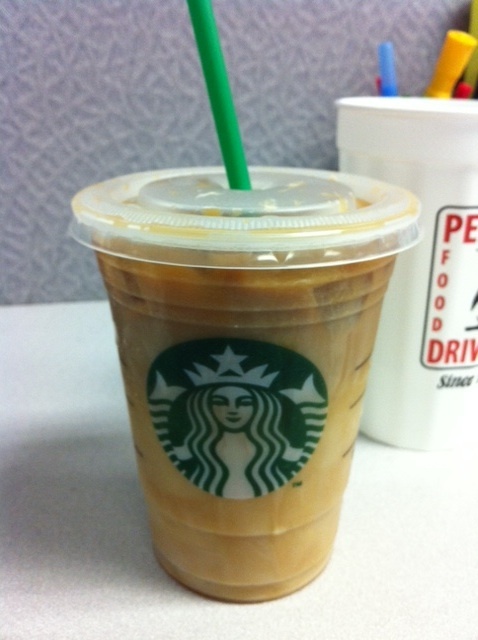 I went with the grande instead of my normal tall ... figured 2 shots of espresso were necessary today. I used to hate caramel. it was one of those things that my sister liked so I decided NOT to like it just because. typical little sister stuff right there. lately I haven't been able to get enough of the sugary sweetness. 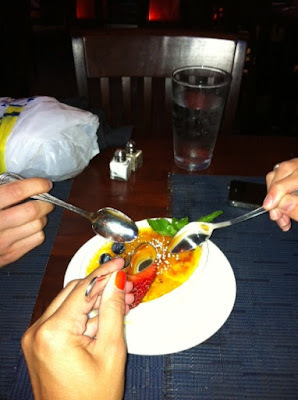 talking about sweetness ... last night I went to dinner with Heather and Suzy. we went to Coco Osteria, my absolute favorite place to eat uptown. I'm lucky that when I eat out with Heather we have similar tastes and end up splitting our meal. this usually translates into having more of a variety than just one entree. case in point - last night we split a salad and ravioli. the result was the perfect amount of food with a little variety. we even had room for dessert.